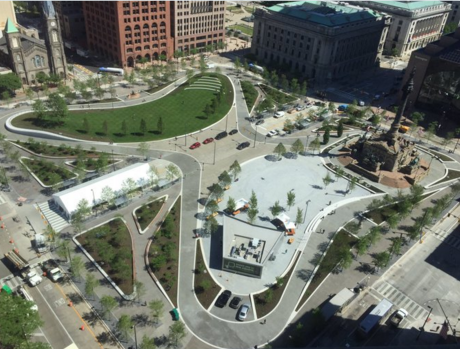 After more than a year of construction, much of it taking place behind the veil of fencing, Cleveland’s Public Square is gearing up for its big reveal. Even as the barriers come down, there’s still one more piece to the puzzle that remains to be put into place: the opening of Rebol, a café at the southern edge of the square. When it opens to the public in two weeks, the eatery will be in the hands of executive chef Michael Schoen, who was hired by Townhall owner Bobby George to handle the food side of the operation. Schoen, in turn, has brought in Michael Keyerleber as his co-executive chef. The pair recently worked together at Great Scott Tavern in Euclid. Rebol, a contemporary space in the heart of downtown Cleveland, will seat 90 inside at communal tables and another 60-70 people outside on the patio. The goal, says the chef, was to create a quick-casual concept that people could feel good about visiting for breakfast, lunch and dinner on a regular basis. 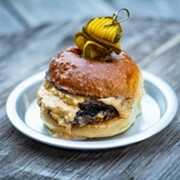 The restaurant, he adds, is committed to sourcing organic, non-GMO foods. 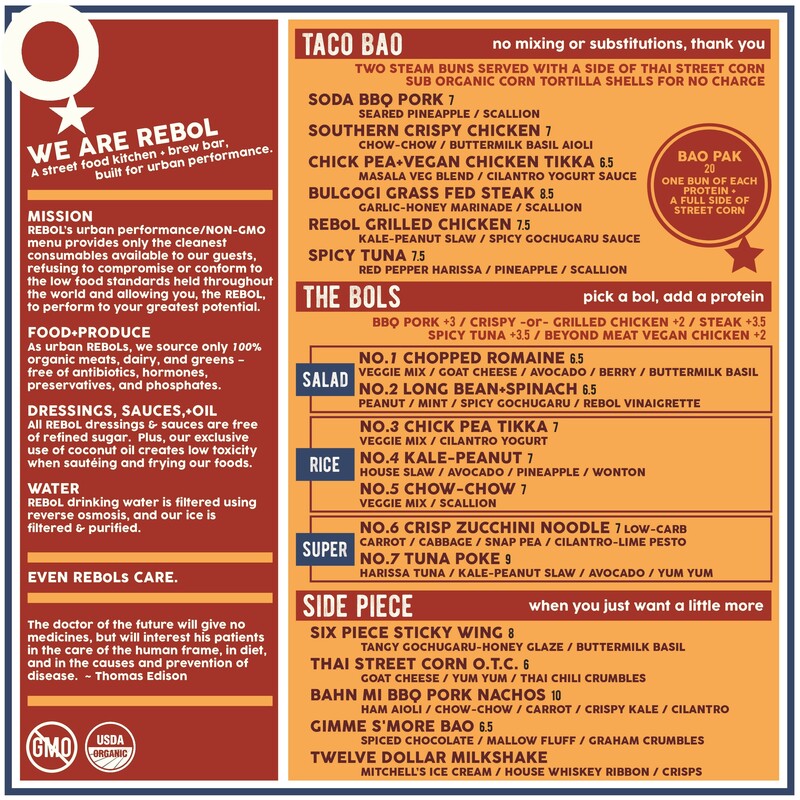 The core concept is built around “taco baos” and “bols.” The former are essentially steamed buns filled with items such as crispy fried chicken with chow chow relish, grilled chicken with kale and peanut slaw, and grass-fed beef bulgogi. Guests can swap the buns for gluten-free corn tortillas at no extra charge. Prices are about $7 per pair. Bowls begin with rice or greens and can be topped with a choice of proteins, from Asian-style barbecue pork to spicy tuna. Flavor profiles include chow chow, kale-peanut, and chickpea tikka masala. Bowls start at around $7 and climb to about $10 with the addition of meat. Side dishes include “sticky” chicken wings, Thai street corn with yum-yum sauce, and banh mi pork nachos. “We want people to be able to eat here three or four times a week and try something different,” says Schoen. To drink there will be craft beer, a small list of craft cocktails, and a coffee bar that features one of the only Poursteady machines in the region. The robotically powered pour-over bar can whip up more than 60 cups of coffee per hour with computer-controlled precision. As far as locations for restaurants go, Rebol might just claim the crown as Cleveland’s most unique and conspicuous. Given the setting, it’s probably not a bad place to call work. Check out the complete menu below.